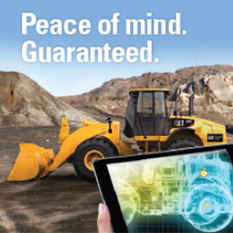 Reasons to choose Cat Skid Steer Loaders over the competition. A skid steer loader is one of the most versatile machines in any heavy equipment fleet. A top quality skid steer can perform a wide range of earthmoving tasks on your job site, especially when fitted with one of the many available skid steer attachments. The skid steer’s relatively small size and high-precision turning capabilities allow this remarkable machine to maneuver flawlessly in even the tightest spots. Looking for a skid steer loader for sale in Utah that is designed and built for maximum performance and safety? You found it right here at Wheeler Machinery! 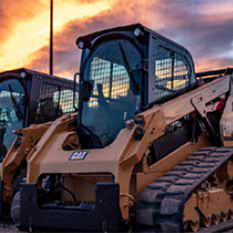 As the exclusive Cat® equipment dealer for all of Utah, we’re able to offer the complete lineup of Cat skid steer loaders for sale. 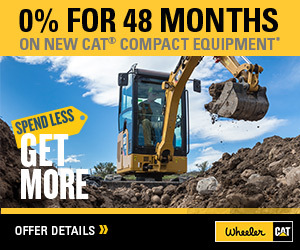 You’ll also find a large selection of work tools and attachments that will increase the versatility and improve the performance of your skid steer. For more information about our selection of skid steers for sale in Utah, please fill out and submit our convenient online contact form. You’re also invited to stop by any Wheeler Machinery location for a closer look.